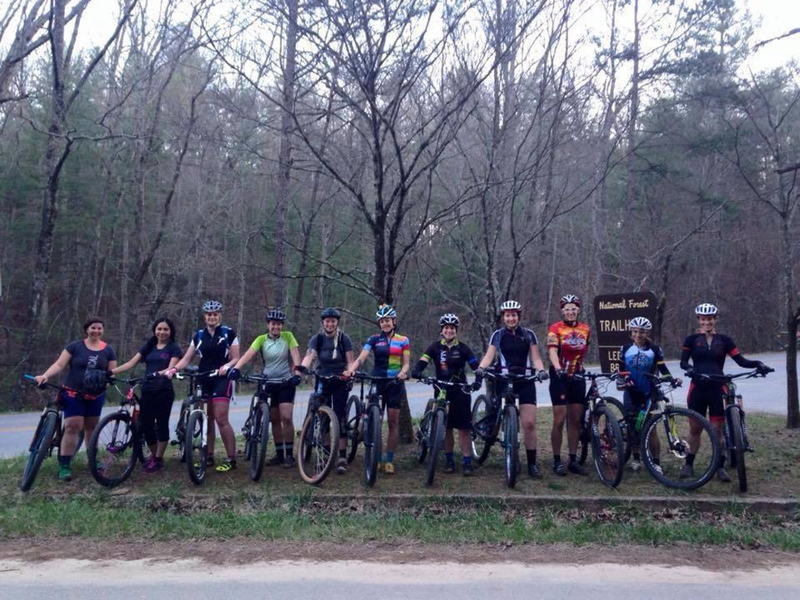 With so much spectacular mountain biking within an hour of Asheville, even just the task of choosing a trail can feel daunting. 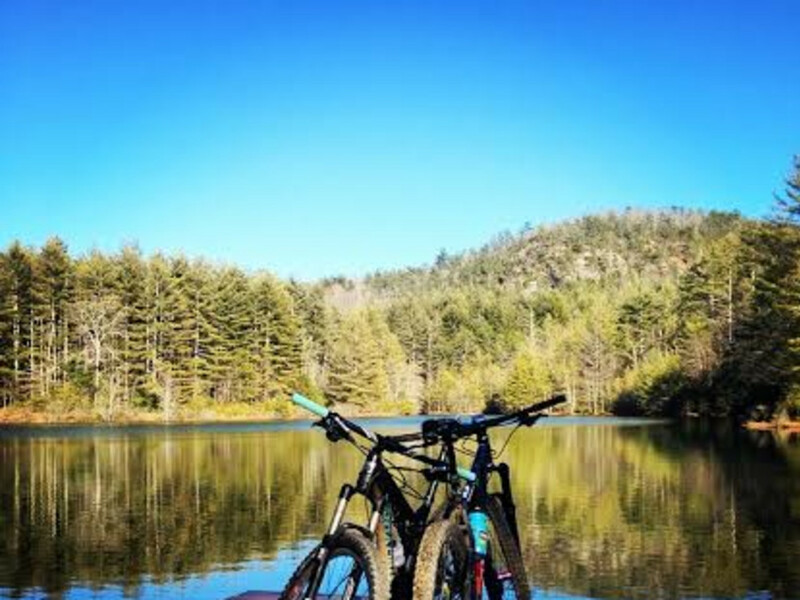 To make your adventure planning a little easier—and to guarantee you a great ride with some big rewards—we asked the employees at Motion Makers, Asheville's most trusted local and independently owned bike shop, to name their favorite local rides. When bike mechanic David Sagat wants to hammer out a ride before work, he hits the Explorer Loop Trail from the Hard Times Trailhead in Bent Creek . "It introduces you to a lot of different styles of riding. It’s a great loop that you can knock off in a reasonable amount of time." Bikers of all abilities can have a great time on this moderate, three mile circuit, which climbs and falls continuously through dense forest, small hidden meadows and alongside a roaring creek. If you're not limited by time, plenty of connecting trails and alternate routes can lead to a full afternoon of exploration. The Explorer Loop offers a reasonable taste of the rocks, ruts, and gnarly root pockets more characteristic of Pisgah than the generally smooth, hard packed double-track of Bent Creek. This is an excellent choice for anyone hoping to hone their technique before moving on to more technical areas. Nate Brock is the service manager at Motion Makers. On a day off, you will find him (and probably the majority of those in the biking industry) exploring the 500,000 acres of Pisgah National Forest . He recommends parking at the Black Mountain parking area. "From there, I like taking a nice cruise up Clawhammer, and then dropping off the top of Black Mountain. I finish off with Sycamore Cove Trail, which is a loop system in the same quadrant of the Black Mountain parking lot." *We'd like to point out here that only a select number of riders can 'cruise' up a trail like Clawhammer, which climbs 2,000 vertical feet in 7 1/2 extremely technical miles of roots, boulders and half a dozen deep creek crossings. "I'd say this is for intermediate to advanced riders, mainly due to the climb to get to the top of the mountain, then they will definitely come across some pretty technical single track descending wise," Brock warns. In the true style of a seasoned Pisgah veteran, he's putting it mildly. Still, if you're looking for a hardy taste of the type of gnarly epics that Pisgah can dish out, then Clawhammer is the trail for you. There are a few of ways to experience the legend that is Pisgah National Forest, even if you're not an expert. Brock considers the Fish Hatchery parking area to be the best introduction for people who have never ridden in the area. "It works well for beginner and intermediates, mainly because the trails aren’t overly technical and the elevation gain is not as much as the Black Mountain trail system. It’s a little bit more flowy and you can link a lot areas in that trailhead." From Fish Hatchery, you can access one of his favorite trails, the Daniel Ridge Loop. This trail starts out by crossing the pristine Davidson River, then continues for four miles of open forest, rhododendron tunnels, and moderate climbs on sweet singletrack etched into the hillside. In certain sections, steep drop offs will keep you on your toes. While riding the loop you will come across the intersection of the Farlow Gap Trail, but be warned before you decide to detour: Farlow Gap is one of the technical, toughest (and most touted) trails in Pisgah. Brock leaves us with the reminder that no ride is complete without stopping at the Brevard Brewery to refuel. Mechanic Ben Hinker recommends starting your ride by hopping on The Never Ending Road, accessible via the Trace Ridge parking area in Mills River. This mountainous area is the largest section of the Pisgah Ranger District. It lies just on the other side of Blue Ridge Parkway from Bent Creek Experimental Forest, but you will encounter far less traffic from hikers and other riders. Although the trails have a similar feel to Bent Creek, they are for the most part steeper, technical, and more narrow. 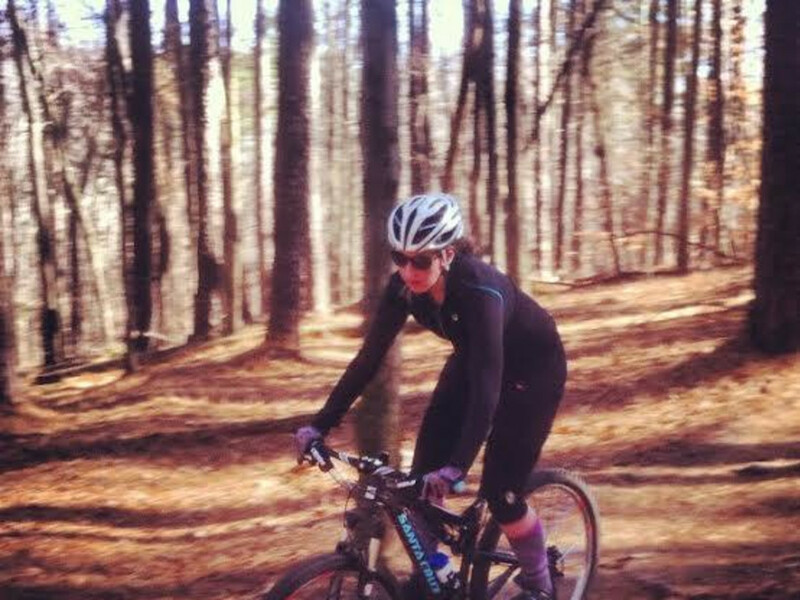 "This singletrack is actual singletrack, versus the double-track that makes up most of Bent Creek." The Never Ending Road (Forest Road 5097) is gravel-paved and rolls over gentle hills against a backdrop of eastern hardwood forest, with the remote feeling that is characteristic to Mills River. Besides being an enjoyable ride in its own right, there are a good number of steeper and more technical single track trails that drop off the side. The road provides an ideal warm up before getting into something spicier. "If you're looking for really big and technical riding, you can certainly find that in Mills River on the Trace Ridge Trail and more," says Hinker. "But if you're looking for just a really fun and easy trail, take the Never Ending Road all the way around and come down onto the Fletcher Creek Trail." The Fletcher Creek trail joins up with the road at mile six, and will lead you on a speedy descent all the way back to the parking lot. Sales staff Jeff Stone is a recent transplant from Austin, Texas. "Besides Greens Lick, I haven't learned any trail names yet—I'm always just following these guys," he says, motioning to the mechanics on the other side of the store. Greens Lick, a fast, 2.5 mile plunge through the Bent Creek Wilderness, is one of most coveted trails in the area, the first place your friends will take you if you're just passing through. Park at the Rice Pinnacle parking area and follow any number of trails to Five Points, then continue upwards until you come across the trailhead on the left. Although specific trail names still elude him, Stone is quick to recall his favorite brewery so far. 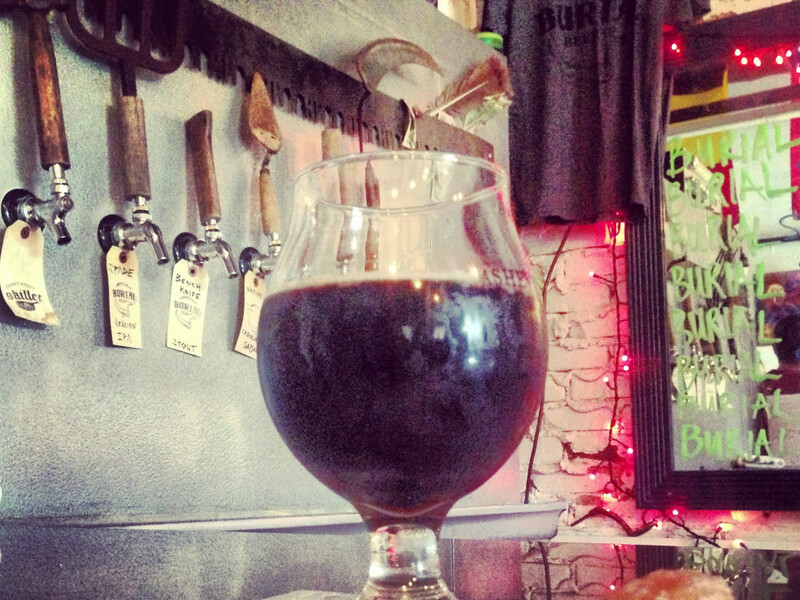 "Burial Brewery in the South Slope. But don't ask me for any specific beer names—everything I've ever had there is good!"